6546 E Tanque Verde Rd. Why Aren't My Goldfinches Feeding? How Do I Prevent Birds Crashing Into My Windows? Many birds eat insects naturally, so feeding mealworms to the birds is a natural thing to do. Plus, you’ll enjoy watching birds such as say's phoebes, vermilion flycatchers, wrens, towhees, woodpeckers, warblers, thrashers and others devour these mouthwatering morsels! 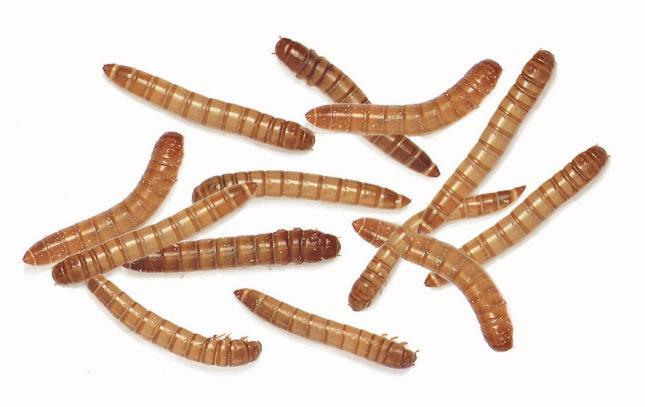 Mealworms are the larvae of the beetle Tenebrio molitor. The larvae stage of the beetle typically lasts for 10 weeks. To maintain the larvae in a state of dormancy, they must be refrigerated at 40 to 50 degrees Fahrenheit (lower temperatures can kill the larvae). You can keep mealworms for several weeks and they will maintain their dormant state. Birds typically look for food around the same time each day, so you can place worms in a feeder or tray at the same time the birds regularly visit. Make sure the birds can access the feeder but that the worms can’t crawl out! Some Wild Birds Unlimited feeders to consider are the Dinner Bell and the SideDish™ feeders. 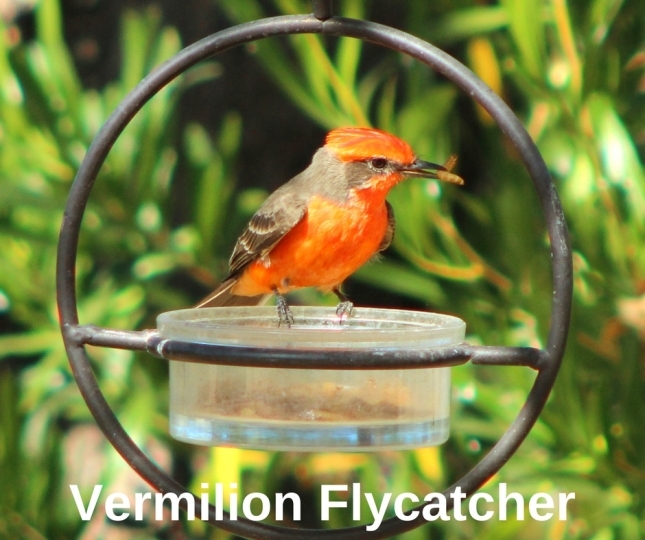 Mealworms are a great way to attract birds that don’t ordinarily come to seed feeders. Let our bird feeding experts show you how to get started offering mealworms in your yard!